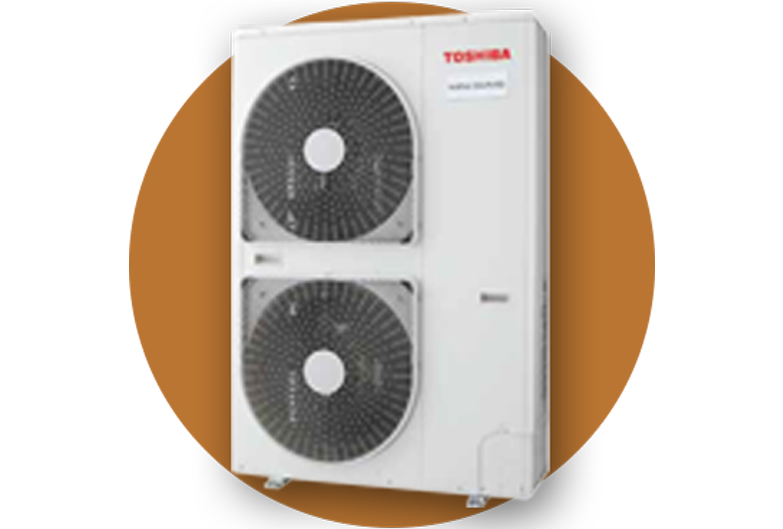 The Toshiba MiNi VRF is a small VRF system suitable for both commercial purposes and more private spaces. Great flexibility and control power are combined in a VRF system, which is a small and compact enough to fit on a balcony. The residential indoor units are designed to blend perfectly with all interiors and incorporate advanced filtration systems to deliver optimum indoor air quality. For commercial premises, the products are designed to deliver top performance combined with energy efficiency, along with a wide choice of stylish indoor units. This delivers high efficiency and complete reliability. The Bat wing fan provides low volume with high pressure. The stylish design of indoor and discreet outdoor units that are also small and lightweight. Making them ideal for shops, offices and large apartments. The vector Controlled inverter located within the unit also controls the motor current wave to a smooth sine pattern so that noise emitted from the drive units is greatly reduced. Up to 13 models available with a combination of 81 units.